When the good people of Highlands Ranch start breathing in fungus particulate, they rely on the expertise and IICRC certified abilities of our mold removal Highlands Ranch crews with 911 Restoration Douglas County to get the job done right the first and only time. Taking on the effects presented by a mold contamination is a challenge and this is why our staff are all highly trained in every aspect of mold remediation. This way they can safely eliminate the infestation from your home without spreading it or affecting anyone’s health in the process. Making sure that mold doesn’t get moved around the structure is key to preventing its spread within a home, and this is why all of our team members are trained and properly accredited in the industry. Don’t give mold a chance to harm the health of you and your family. 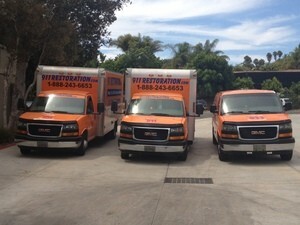 Contact our his specialist mold removal Highlands Ranch pros with 911 Restoration today! Mold moves fast, but not fast enough to escape our staff of master mold remediation pros. That being said, 911 Restoration of Douglas County loves the people and homes of Highlands Ranch so much that he wants to give people all the help and advice they need to prevent a mold situation in the first place. Additionally, mold can always be prevented by making sure rooms are well ventilated and aired out. Sometimes achieving this can simply mean opening up a window to let in some fresh air. 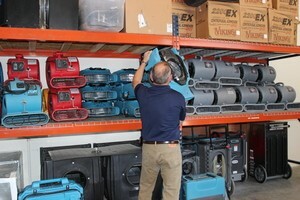 Moreover, if a room does have an excessive amount of humidity, a solid method for removing it is to simply put in a portable dehumidifier to extract the moisture from the air. Don’t let a mold situation catch you off guard. Contact our mold removal specialists with 911 Restoration Douglas County today! Our staff have solved the challenges presented by mold exposures all over Highlands Ranch and this is how they have come to know the microscopic menace with such familiarity. On one project our team had been called out to solve a simple water damage incident. Little did they know that when they arrived at the scene of the damage, they would be doing so long after the water had subsided. 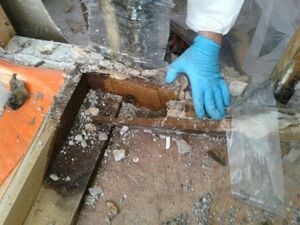 Previous instances of water damage are one of the most common ways that mold colonies take hold and form roots in homes and businesses and this was one instance where mold had nearly affected everything. Our specialized staff have a knack at taking extraordinarily difficult mold growths and eliminating them like they were never there, and this is just one of the skills that puts him at the cutting edge of the restoration industry. Another one of our exceptional skills is his ability to take care of his clients when they are in a time of true need. We want to go the Extra Mile so much for his customers that he will even take the initiative and file the mold removal paperwork for people so that they don’t have to deal with a fungus infestation concurrent with an insurance agent conversation, as these can be taxing all on their own. Don’t give mold a chance to spread. Call us of mold removal Highlands Ranch experts at 911 Restoration today and let them take care of all your spore elimination needs safely!